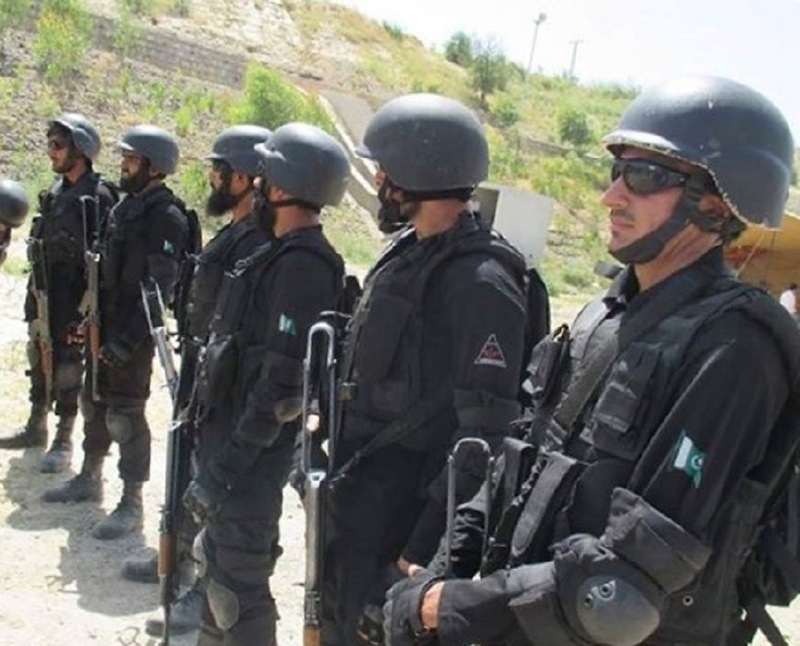 PESHAWAR -- The Khyber Pakhtunkhwa (KP) government is rewarding police officers with monetary awards for rounding up suspected terrorists wanted by the authorities. The KP Police Counter-Terrorism Department (CTD) August 1 awarded six officers a total of Rs. 9.3m (US $85,869) for nabbing the six most wanted suspected militants in KP. Collaring those six helped police close about 50 terrorism cases, KP Police said. Those awards came after earlier payments to KP Police officers who nabbed most wanted suspects. On June 26, KP Police awarded Rs. 12m ($114,531) to six officers who helped catch seven most wanted militant suspects. In January 2015, 14 KP Police officers received a total of Rs. 12.8m (US $122,166) for catching 20 most wanted militant suspects. The officers who received the rewards plan to distribute them among their team members. "These officers and their teams have done a remarkable job that has helped improve law and order not only in KP but all over Pakistan," KP Inspector General of Police Nasir Khan Durrani told Pakistan Forward. "The Counter-Terrorism Department particularly has been doing a great job in arresting these terrorists and busting their network," Durrani said. KP Police hope the monetary rewards will further improve the performance of the force, which has already made great progress against the militants in recent years. "This will for sure boost their morale and will encourage them to work harder," said Yousaf Ali, a Peshawar-based journalist. Deputy Inspector General of Police for the KP Counter-Terrorism Department Salahuddin Kan recently briefed Durrani on the performance of the various officers awarded and the suspects whom they arrested. The suspected militants arrested in the most recent sweep include Molvi Bahadar Jan of Baka Khel in Bannu District, Wali Muhammad alias Machai of Upper Dir, Gulab Sher of Bannu, Asghar alias Mama of Nowshera, Saif Ali and Jameel Khan of Kohat. Jan was a Tehreek-e-Taliban Pakistan (TTP) commander in Bannu and was a close companion of slain TTP chiefs Baitullah Mehsood and Hakimullah Mehsud as well as of Hafiz Gul Bahadar, leader of a Pakistani Taliban faction in North Waziristan, police say. "Jan was involved in attacks on security forces, bomb blasts and other terror incidents in Bannu and was carrying head money of Rs. 5m [US $47,721]," Salahuddin told Pakistan Forward. Asghar, alias Mama, was wanted for bombing schools and other government installations in Peshawar and Nowshera and was carrying a bounty of Rs. 1.5m (US $14,316). Among the suspects arrested earlier in 2016, Gul Rauf alias Gul Raip and Qari Rashid were wanted for Rs. 2m (US $190,885) and Rs. 1m (US $95,442), respectively. Gul Rauf is accused of involvement in five different attacks on security forces, police and public places in Bannu. The arrests resulted from a joint between among the CTD, military intelligence agencies and the Intelligence Bureau, Durrani said, thanking the various entities "for their active support and pivotal role in apprehending the most wanted terrorists and thwarting their nefarious designs". In addition, the KP government paid Rs. 10m (US $95,442) in head-money awards to two federal intelligence agencies, according to KP Police. The KP government in January 2015 prepared a list of 615 top suspected militants and proclaimed offenders (wanted fugitives) wanted dead or alive, offering a combined bounty of Rs. 760m (US $7.3m). The government announced bounties of Rs. 10m (US $95,442) each for TTP chief Mullah Fazlullah and Lashkar-e-Islam chief Mangal Bagh. KP Chief Minister Pervez Khattak recently said his government would introduce a police reform bill in the coming assembly session to ensure the police force is independent and empowered but also accountable to the people and to KP elected bodies. "The KP Police force is the best in the country, and we are further reforming it to make it corruption free, equipped with modern technology and weapons, and better trained to cope with any kind of situation," Khattak said at a news conference August 4 in Peshawar. The first half of 2016 was relatively peaceful compared to recent years, data shows.